As Friends, we state in our Faith and Practice, “We believe the precepts of Christ our Lord and the whole spirit of His Gospel call us to live at peace with all people.” All people can seem a daunting task. That is why this Peace Month we hope to narrow our focus and bring us back to our local surroundings. 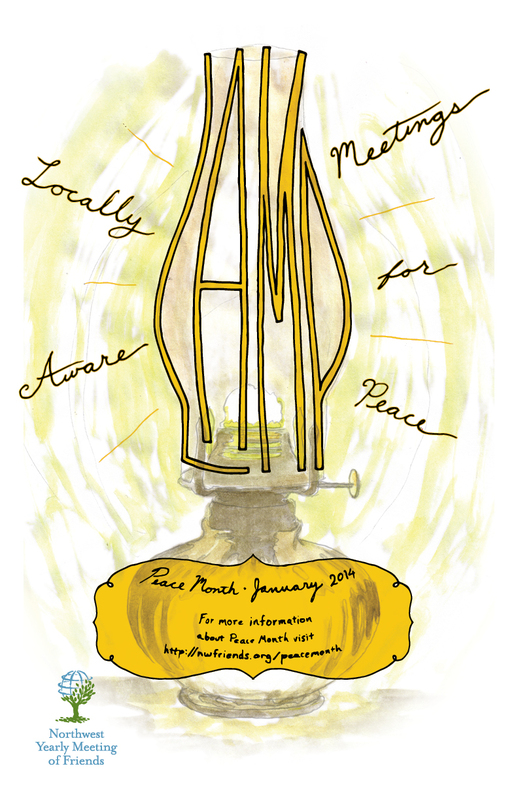 During Peace Month we hope to explore how our meeting is rooted in our local community. Do you know the current needs and opportunities for peace and justice that SFC could address? Every community is unique and has a plethora of areas to engage – from local government to education, from business to health, from technology to the environment, from culture to religion. We hope through this focus month that we will take time to seriously evaluate, develop awareness, and find new ways to be a peace-building meeting in Silverton. Educate in the manner of Friends (and Biblically) what local peace-building looks like for SFC. Raise awareness for peace-building (current initiatives and needed ones) in Silverton. Inspire people to take action, to move forward and to do something positive no matter how small the step. Connect, network, and introduce individuals, organization and corporations in Silverton who are already doing good things in the area of peace-building to help create a greater community impact. Identify ways to disarm violence and injustice in all of its forms in Silverton. I pray you will join us for another great Peace Month and that January will only be a continuation of the great work God is doing in and through SFC to bring God’s peace to all people.